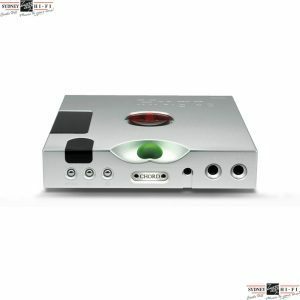 As more and more music lovers consider their personal computer or laptop as their principal audio source, they find that the sound quality they’re getting simply isn’t on par with what a premium component music system can deliver. Denon’s DA-300USB combination D/A converter and headphone amplifier elevates computer-sourced digital audio tracks to purist audiophile levels, delivering superb sound quality without compromise. 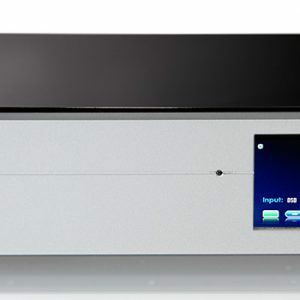 Equipped with a range of advanced digital technologies, the DA-300USB connects via asynchronous USB to the computer and features the ability to decode both PCM (traditional digital audio format) and DSD (Direct Stream Digital – the advanced digital audio format of SACD). For connection to other digital audio sources, the DA-300USB also features three digital audio inputs – two optical and one coaxial. 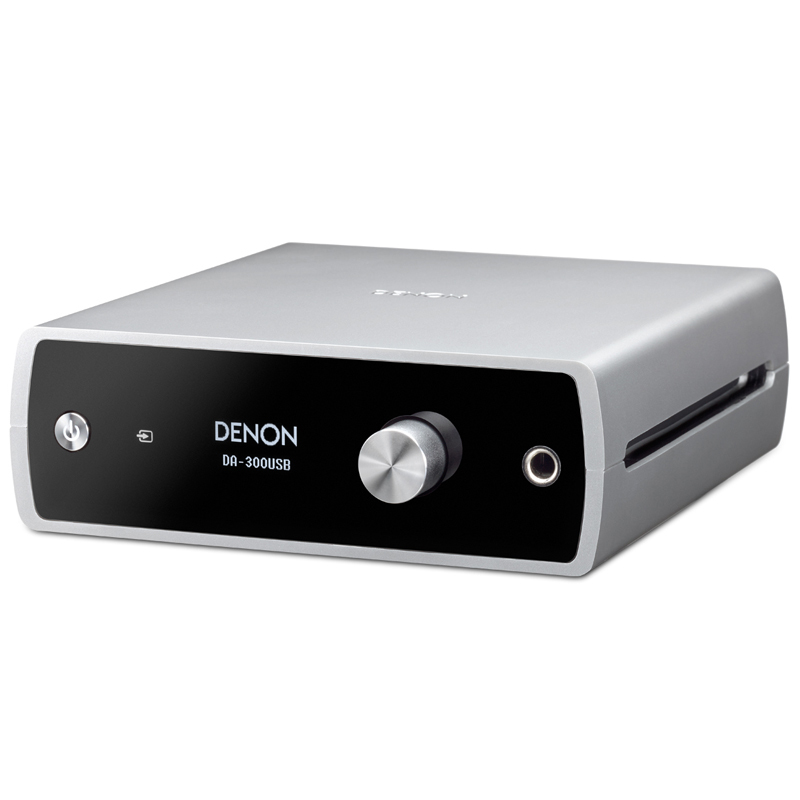 Featuring audiophile grade construction with highest quality component parts and circuit design, the DA-300USB delivers a level of sound quality on par with Denon’s highly praised universal disc players. Housed in a sleek casing, the DA-300USB features no less than 7 separate printed circuit boards, to ensure the highest isolation between circuit blocks. Powered by a 15V/1A AC adapter, the DA-300USB features sophisticated DC power conversion technology with a power block that delivers separate DC voltage sources to power the various stages. To ensure the most stable and accurate digital audio and timing data at the critical D/A converter stage, the DA-300USB also features advanced isolator chips that combine high speed CMOS technology with unique on-chip micro air-core transformers. A total of 9 isolator chips are employed, with 18 channels of isolation, delivering superior common mode noise rejection and maximum protection against digital noise transfer between critical stages, compared to conventional optoisolators. 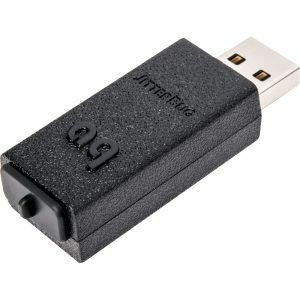 The asynchronous USB-B port connects to your computer’s USB-A port. Once connected, the computer recognizes the DA-300USB and routes the digital audio data to it, bypassing the source device’s internal audio circuitry. 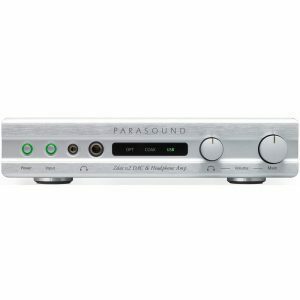 For connection to other sources, the DA-300USB features 3 digital audio inputs – two optical and one coaxial – so you can enjoy greatly improved sound quality from your HDTV, satellite or cable box, game console or disc player. The line level output connectors are high quality, with full 2Vrms output for compatibility with integrated amplifiers, pre-amplifiers and other analog audio components. The front panel headphone jack features a standard-sized 6.3mm/¼” connector, along with a convenient volume control. For the purest audiophile grade sound quality, the DA-300USB is equipped with separate audio output circuits for the line level outputs and the headphone output. The headphone amplifier block features dedicated buffer and gain stages, and is compatible with the widest range of headphone types, including low impedance models. The elegant front panel features an advanced OLED display that provides clear indication of the input selected, along with the audio file type (PCM, DSD), the sampling frequency and the headphone volume level. The Touch Control lets you easily cycle through the various modes. You can choose to mount the DA-300USB either vertically or horizontally, depending upon your equipment configuration. An internal sensor detects the chosen orientation, and rotates the OLED display data accordingly. A custom bottom plate is provided for vertical orientation.